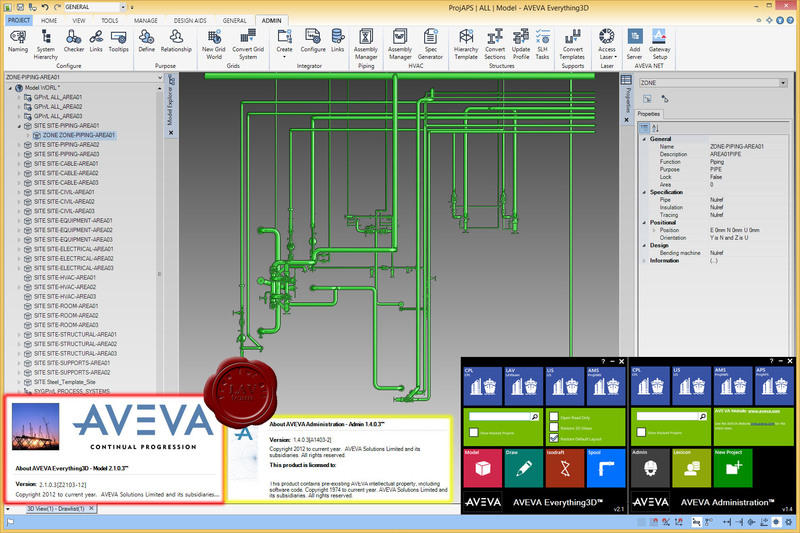 AVEVA Everything3D exploits the latest technology innovations in mobile computing, Cloud computing and laser scanning to enable Lean methods in plant project execution. It takes the plant industry to a new level of capability, reducing cost, timescale and project risk on projects of all sizes. AVEVA Everything3D is the top-of-the-range, multi-discipline, 3D plant design solution leveraging integrated laser scanning capabilities. The 3D plant design model is created and modified using discipline-specific applications, each optimised for the most efficient modelling in the relevant discipline. Optimised lighting, shadows and edge highlighting increase spatial awareness, making it easier to position objects accurately in the model. The Microsoft Fluent user interface makes functions easy to find and obvious to use. New users become proficient quickly. Experienced users become more productive. Easily customise the behaviour of the product to suit your working methods. Create automated functions to increase productivity and competitive advantage. AVEVA Administration allows Administrators to quickly set-up Teams, Databases and MDBs for Common Object Revisioning. Controlled Object Revisioning allows Engineering to control when Users want to pick up object changes. When objects are released via status control a notification is sent to any users who subscribe to that object. The user, once notified can elect if and when to adopt that change. This process is implemented using AVEVA's Dabacon Extract functionality.